Sometimes conventions are small ruptures that reshape the political terrain and revalue goods and services within the transactional politics America refers to as “democracy.” This year's Democratic National Convention will be one of the latter. It might even be a double helping. There are echos of 1964 and 1968 in the air, and together they may not bring a change in transactional politics as usual, but they may change the definition of usual. The Democratic Party will implode on the afternoon of Tuesday July 26 2016 under the gravitational pressure of it's centralized autocratic leadership. The outlines of this astrophysical conflagration can be seen in the shapes of supernovae past. The Mockingbird, and other independent media outlets, have been leaked documents that point to a massive defection called #Demexit. Sources confirm there are plans. On evaluation, those plans have some merit. In 1964, while Hillary Clinton was a Republican supporting segregationist candidate Barry Goldwater, the credentials committee refused to seat the dissident delegation from Mississippi. This delegation, known as the Mississippi Freedom Democratic Party, was elected by the State's first interracial majority outside of normal channels. Black Americans were kept from the polls by naked Klan terror during that primary. Civil Rights workers were murdered. Maybe you saw the movie. I didn't, I met their families. After wrangling, the “compromise” was to seat a single delegate “at large.” The presumptive nominee, Texas Democrat Lyndon Banes Johnson, was fuming. He privately referred to the seating of a black delegate in any capacity as “ruining his birthday.” As in 1964, Bernie Sander's campaign suffered from widespread voter suppression. As in 1964, he compromised his way into two seats on a committee, that were outvoted on his key platform initiatives. As in 1964, the Democratic Party counted on the outright lunacy of the Republican nominee to edge them into the White House. Barry Goldwater, like Donald Trump, was a semi-coherent racist in love with the idea of bombing everything and everyone. In 1968 the country was tired of war abroad. It was tired of racism and police brutality at home. The streets were filled with people and the youth was tired of listening. Lyndon Banes Johnson had lost the Southern wing of his party through tepid concessions like the Voting Rights Act and Civil Rights Act. Southern Democrats left the party in droves for fear the Fourteenth Amendment was more than paper. They formed the Dixiecrats, mostly because they fondly remembered a war they lost militarily but eventually won politically, until wooed into the Republican Party by Richard Nixon in 1972. White Southern Democrats have struggled for and slowly regained control of the party of their slave-holding fore-bearers. Their efforts have culminated in this election cycle with the selection of Southern Democrat Hillary Rodham Clinton. In 1968 the Northern wing of the party, left alone without Southern support for the first time since it nominated failed civil war General McClellan in 1864 was in disarray. 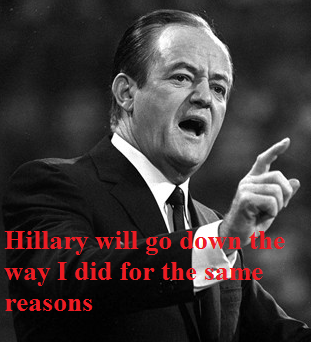 It was in the process of nominating Hubert Humphrey, a bankers favorite who promised to continue the Vietnam War. Delegates favoring the more progressive anti-war candidate, Eugene McCarthy were being assaulted right out of camera view by plainclothesed Chicago Police. The Democratic machine had promised Humphrey the election. Like Clinton now, it was his turn. The police went a little to far and punched a young reporter named Dan Rather. CBS who paid good money for that pretty face, got revenge by finally showing the camera feed from outside the convention. America saw for the first time what it now sees every day. Militarized police brutalizing people indiscriminately. Bayonets on rifles facing unarmed people on the streets of a self-described free country. The Democratic party imploded and Nixon won by tossing a few crumbs as Trump will undoubtedly attempt to do. The party would not regain control of itself until it came upon that winning formula it uses to this day. Combine a Southern Democrat with Superdelegates, pay lip service to progressives before the election, and surrender to the so-called moderates across the aisle immediately afterwords. Before you say Obama, remember that Biden was the Senator from DuPont, that's pronounced Delaware, which was a slave state kept in the Union through generous military contracts. When the family business runs the state, and the family business is gunpowder, you go with your biggest client, the Union Navy. All the elements of both 1964 and 1968 are present. We have a struggle for racial justice that threatens the elites of both parties. We have factions within the Democratic Party that have been systematically and sometimes illegally been silenced or had their demands swept under the rug. We have war fatigue, and are sick of increasingly technological violence at abroad and at home. We have a new generation rising that is speaking a language that the oligarchies refuse to hear. That generation has exploded with the pain of betrayal. Sander's endorsement of Clinton cost him their loyalty. They were with him because of issues and distaste for Hillary. Young people faced with the prospect of a world where they will never have anything are not going to line up billionaire bandit Clinton. #Demexit is already a trending hashtag. Before it was, it was a plan in the works. #JillnotHill is a slogan also, and the Greens are poised to make their move. Even if they do not, there will be a fight on the floor over issues. According to leaked documents, multiple camps within the Sanders campaign will desert the party over platform issues. Sit ins are planned. Marches are planned. The Philadelphia Police have a very nasty reputation for cracking protestor skulls. Those delegates and supporters who leave the convention or are locked out will be left to figure out their place in a political system that wants zero of their input. Demexit means they intend to make their own place with or without Sanders or Stein. Hubert Humphrey was famously reputed to have cried as the teargas wafted in the windows of his hotel suite. Hillary probably will not, she does not have actual feelings. Regardless of whether the moat around the convention is filled with blood or tears or both, Demexit is coming and it will reshape the political terrain. Whoever moves further to the left the fastest will gain the most.